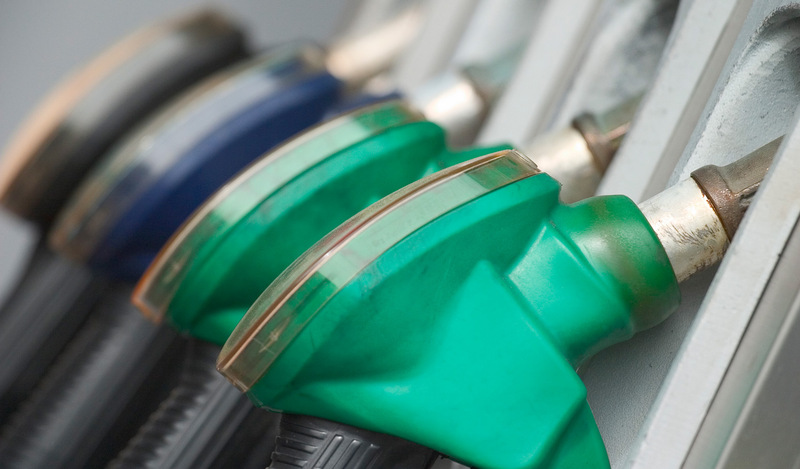 To better monitor the collection of fuel taxes that feed the Highway Trust Fund, the IRS conceived the idea of a Joint Operations Center for National Fuel Tax Compliance. The U.S. Interstate Highway System is the largest in the world, stringing together almost 50,000 miles of highways, freeways, and expressways. To maintain that endless roll of blacktop and concrete, the federal government imposes fuel taxes and deposits them into the Highway Trust Fund. State highway agencies then draw from the fund to finance their construction and maintenance work. However, a rise in highway maintenance costs and a drop in tax revenues due to improvements in automotive fuel efficiency have begun to put a strain on the coffers of the fund. To better monitor the fair and accurate collection of fuel excise taxes, the Internal Revenue Service, the Federal Highway Administration, and the states of California, North Carolina, and Texas conceived the Joint Operations Center for National Fuel Tax Compliance (JOC). The IRS then asked MITRE to determine if the JOC was a feasible concept and, if so, to help the IRS design it. The goal of the JOC is to construct a clearer picture of the fuel supply chain in the United States. From this picture, the JOC can better determine how well the fuel industry is complying with the excise tax codes and then propose approaches that state and federal agencies can jointly pursue to improve tax compliance rates. Jeff Ackerson, senior principal systems engineer for the MITRE JOC team, sums up the guiding concept behind the center: "By better understanding the flow of potentially taxable products through the supply chain, the IRS and states can better measure tax compliance." The flow of fuel is especially difficult to follow because fuel is not taxed by its chemical composition, but rather by its intended use. "You can essentially take the same fuel and sell it as home heating oil, in which case it's not taxable," explains Ackerson, "or sell it as diesel, in which case it's likely taxable. The IRS, which depends on the fuel industry to honestly report fuel transactions in and around the point of taxation, has had a set of checks and balances to try to verify compliance, but the agency was looking for a more sophisticated and comprehensive method of verification." The IRS would like a better and timelier understanding of whether a gap exists between the tax due on products sold and the amount of taxes collected (the "tax gap"), but it faces two obstacles. First, the agency needed a more detailed picture of the intricate workings of the fuel industry in order to establish a framework for measuring tax compliance. Second, the agency required a more complete and timely set of information than what was available through industry tax and information filings in order to paint a robust picture of industry tax-related activities. The JOC seeks to close any possible fuel tax gap by closing the IRS's knowledge gap. "The JOC will serve as a situation center that allows the IRS to monitor the entire fuel distribution network," Ackerson says. Real-time monitoring of the fuel supply from the JOC would give the IRS a better understanding of whether opportunities for fuel tax evasion in fact exist, says Ackerson. "The theory is that what goes in has to come out. By monitoring the various paths of the fuel distribution system, you can measure the amount of fuel that enters the system and the amounts that come out as taxed and untaxed. When you find a discrepancy, you can trace the flow back and look for where there was a loss of tax revenue, either inadvertently or on purpose." To determine if the JOC could feasibly carry out its mission at a reasonable cost using such real-time monitoring tools, MITRE created a pilot program for the center. MITRE also helped the IRS design a temporary facility to conduct the test, outfitting it with secure information technology systems and a state-of-the-art audio-visual set-up. "The centerpiece of the pilot center was a situation room that stimulated analytical discussion among a large number of people," Ackerson says. "It featured a video wall with multiple displays that integrated different kinds of visual information and a conference table and workstations designed to enhance collaboration." MITRE also helped make the data the JOC needed to collect more manageable. "At different points in the fuel distribution system," Ackerson explains, "different government agencies collect data for their own specific purposes: Customs and Border Protection, the Environmental Protection Agency, the Department of Energy, Army Corps of Engineers, and others. And each agency has its own coding scheme to identify fuel products. One of our key accomplishments was to develop a method to translate between the different coding schemes, so that the JOC could track a product across these disparate sources of data." The IRS opened the pilot center in the summer of 2008. MITRE helped the IRS train the tax analysts who staffed the center. The JOC analysts were trained to examine the whole fuel distribution system and to look at every transaction in that system from a tax compliance perspective. MITRE introduced them to situational awareness and inferential reasoning techniques to help them spot sophisticated tax fraud and avoidance schemes. After observing the pilot program in action for a year, MITRE finished its feasibility report, which found the JOC a concept ready and able to be implemented. The IRS has completed construction of a permanent JOC facility in Virginia, with MITRE serving as a technical liaison between the IRS and the contractors in charge of construction. "We remain on board to support and evolve the capabilities that we built into the pilot program," Ackerson says. Though it's perhaps natural for taxpayers to pause at the thought of providing the IRS with stronger tracking tools, Ackerson stresses that the government is not interested in abandoning our nation's self-reporting tax system or saying that the fuel industry cannot be depended on to voluntarily comply with the tax code. "The JOC promotes good tax behavior through a number of different mechanisms. One mechanism is education. Often industry tax payers aren't aware that they aren't reporting things correctly. Another mechanism is improving processes. The JOC can help promote more efficient tax filing, leading to fewer errors." And for competitive reasons, one of the biggest supporters of the JOC may end up being the fuel industry itself. "We have seen a fair measure of cooperation by industry," says Ackerson, "They pay their fair share of taxes to support our highway system, so they have a competitive interest in making sure the other corporations pay their fair share too." Programs such as the JOC are vital to keeping the country's coffers healthy. The more our government can understand how industries such as the fuel industry operate, the better it is able to steer our infrastructure clear of potholes while keeping the economy in the fast lane.